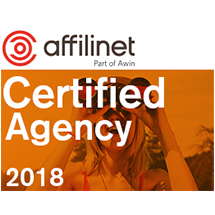 Affiliate marketing is more than just one of the core competencies of our agency; for many years it has been one of the most important pillars of our online marketing mix. For over ten years, we have successfully managed our customers’ partner programmes. We offer personal, targeted consultations in combination with coordinated implementation. Quality and transparency are the hallmarks of our work. What does that mean? 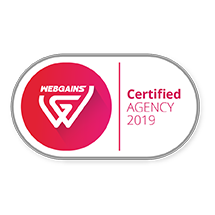 Quality means, in addition to in-depth expertise and experience, continuous optimization of the programme, personal contact to affiliate networks and publishers, targeted acquisition of partners and deselection of unwanted participants. We maintain open communication on activities and accounts with our customers. It goes without saying that we regularly carry out coordination between inventory management and the network, and provide customers with reports. Our service portfolio ranges from initial account screening, to strategic consultation and right up to operational implementation, both domestically and internationally. Contact us! The basis of our consultation is a thorough analysis of the current situation. 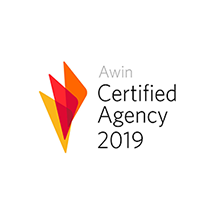 We observe, among other things, the current competitive environment, existing commission and publishing models, the product range, and the composition and accessibility of the target group. 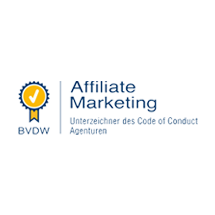 Based on this, we prepare a tailored recommendation for your affiliate strategy. We set up the program for you for the selected networks in a way that is appealing for the suitable partners and increases efficiency at your company. The most important parameters when designing a programme from a strategic perspective are practical commission scales, definition of publisher target groups, optimum product information, the best possible advertising materials, and top-quality descriptions. And, of course, the programme should be safeguarded through the use of general terms and conditions. We are your direct interface with the affiliates, we actively acquire lucrative partners, regularly communicate with publishers, and work with you to plan sustainable activities for improving profits. We monitor compliance with terms of participation, implement measures for avoiding fraud, and monitor commission payments – all done with maximum transparency. By monitoring the success of all activities, we are able to continuously optimise your programme, making full use of the potential to expand. Are you looking to move your programme onto an international stage? We will be happy to do that for you. Every affiliate network requires data feeds formatted to meet its needs. We will program scripts for importing, aggregating, and preparing data, if necessary adapted to work with your raw data. This results in exports with optimized data quality for the relevant requirements of the affiliate network. Our goal is maximum transparency and precision. We monitor all measures, perform sales comparisons and controls, and ensure compliance with the rules on use of the programme. You receive reports and analyses at agreed intervals, showing how your measures are succeeding. When taking over existing programs, a seamless transition is our top priority. Ongoing actions will be carried over, and the overall programme structures will be examined. Against the backdrop of a newly developed strategy, we optimise processes and make changes to general terms and conditions, publishers, and advertising materials. If required, we will also consolidate the programme. Our long-term customer relationships are proof that our strategies are successful.